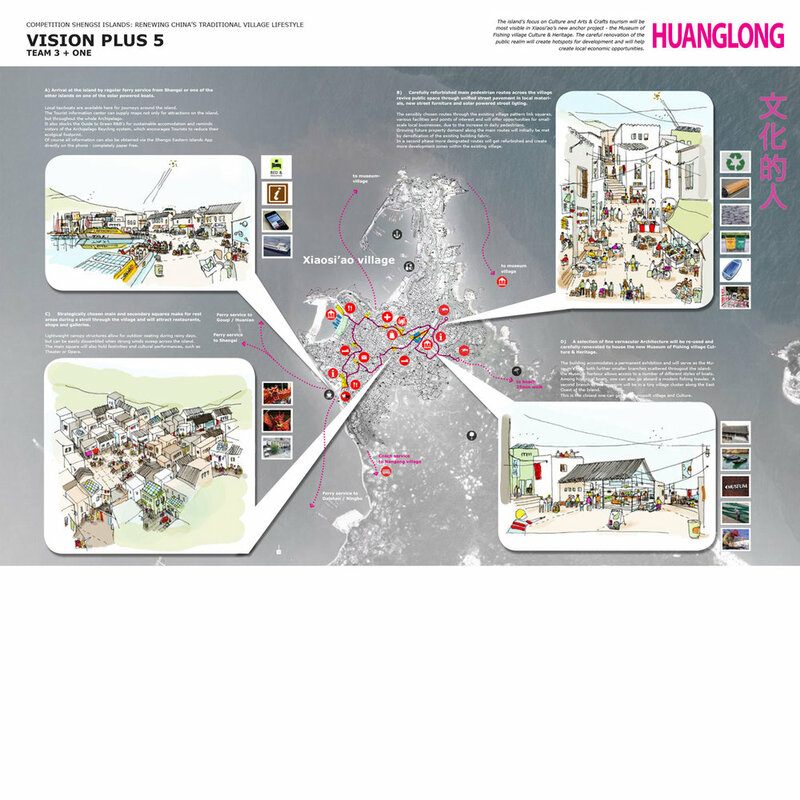 This project is a Masterplan located in the Zhouchan Archipelago that seeks to formulate a vision to guide future development. It is aimed to allow for the region’s sustained and long lasting success for decades to come focusing on the East Shengsi Islands. The Archipelago is currently subjected to issues revolving around its dilapidation and could suffer from the further negative impacts of rushed, poorly coordinated and incoherent development, aimed at achieving short-term economic objectives. Such development risks significantly damaging the Archipelago’s physical appearance, ecosystem and socio-economic structure. The Eastern Shengsi Islands are equipped with an abundance of natural assets with the support of valuable infrastructure. As such the region has great potential for its local economy to transition into the tourism sector. However the Islands’ sustained and long lasting success will strongly depend on shaping a greater, mutual vision here and now, in which economic, socio-cultural and ecological interests are in balance.